The Early Learning goals the children focus on during EYFS summarise the knowledge, skills and understanding that all young children should have gained by the end of the Reception year, and the national assessment requirements. All areas of Learning are important and are interconnected. Three areas will be important in igniting children’s curiosity and enthusiasm for learning and for building their capacity to learn; form relationships and thrive. These three prime areas are; Communication and Language; Physical Development, and Personal, Social and Emotional Development. We will also support children in four specific areas through which the three prime areas will be strengthened and applied. These four areas are Literacy, Mathematics, Understanding the World, and Expressive Arts and Design. This involves giving children opportunities to experience a rich language environment. Some of the most important skills your child can develop are those of talking and listening, for example, learning to talk about matters of interest with confidence; giving relevant details; considering who is listening and when to stay quiet and listen to others. Being a good listener is of vital importance to allow progress in all aspects of learning. Do take time to develop both of these important skills with your child. This involves helping children to develop a positive sense of themselves, and others; to form positive relationships and to develop respect for others, to develop social skills and learn how to manage their feelings; to understand appropriate behaviour in groups and to have confidence in their own abilities. This involves providing opportunities for young children to be active and inter-active and to develop co-ordination, control and movement. Children will be helped to understand the importance of physical activity and to make healthy choices in relation to food. At various times throughout the year children participate in our Forest school programme with our Level 3 Forest School teacher, Mrs Worgan. The sessions involve going into our own Forest School area and getting involved in games and activities to do with countryside: including identifying plants and animals; making shelters; using tools; climbing trees and generally exploring nature. These sessions require a high level of supervision and therefore we rely on the contribution of volunteers. Please do contact the office if you are available to help. Literacy development involves encouraging children to link sounds and letters and to begin to read and write. Children will be given access to a wide range of reading materials (books, poems and other written materials) to ignite their interest. Children will learn how to handle books, how to track text and how to use cues to predict words. At the same time they will learn letter sounds and names from a phased phonic programme, supported by a highly successful synthetic phonics scheme. These teach children to learn to recognise and then blend sounds, so that they can read words. They also learn how to segment words orally in order to write them. Writing skills begin with early mark-making. Children learn how to grip writing tools effectively and to form letters in the correct direction and from the line. As children become ‘writers’ they begin to consider the purpose of their writing. This is largely developed through a range of play and topic-based themes. Children may write diaries, lists, instructions, stories and so on. They will be encouraged to ‘have a go’ at writing the sounds they hear in words and need to be praised for their efforts, especially if they are plausible alternatives to the correct spellings. Developing this confidence is a really important starting point to becoming a keen writer. Mathematics involves providing children with opportunities to develop and improve their skills in counting, understanding and using numbers; calculating simple addition and subtraction problems and to describe shapes, spaces and measures. Numeracy in the early stages is mostly taught in practical ways. Children will do lots of oral and practical counting together and in their play. They will learn to recognise sets, numbers and compare and order. They will sort and match and begin to estimate. A large proportion of early mathematics is focussed on gaining an understanding of the language used. You can help to support this at home too, through a variety of daily living events. Children will learn language associated with addition, subtraction, ordinal number, position, weight, length, capacity and time. Cooking, shopping and journeys are especially rich in opportunities to develop language, concepts and understanding. This involves guiding children to make sense of their physical world and their community through opportunities to explore, observe and find out about people, places, technology and environment. We offer them opportunities to use a range of tools safely and to encounter creatures, plants and objects in natural environments and in real-life situations. Your children may experiment with a range of different materials to find out more. They will develop their knowledge and use of a range of ICT to support their learning, such as cameras; computers; CD players and programmable toys. They will also develop their awareness of different cultures and beliefs. 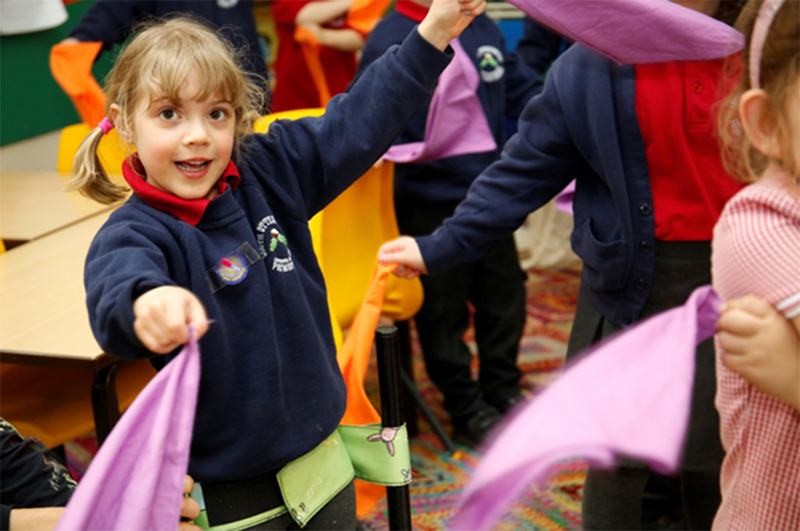 This involves enabling children to explore and play with a wide range of media and materials, as well as providing opportunities and encouragement for sharing their thoughts, ideas and feelings through a variety of activities on art, music, movement, dance, role play and design and technology. 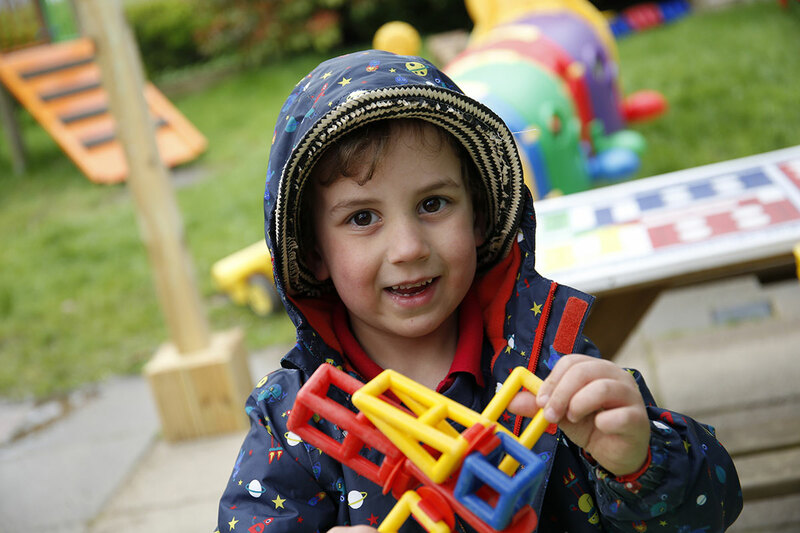 Through our provision we aim to extend children’s creativity, supporting their curiosity and exploration in play. None of the areas of learning and development are delivered in isolation. They are all equally important and depend on each other to support a rounded approach to child development and learning. Most importantly, all areas are delivered through planned, purposeful play. Learning through play is one of the key principles of Early Years Education and is supported by a wealth of research. Our School Curriculum comprises far more than just the Foundation Stage and National Curriculum: it encompasses everything your child does. We look to develop the children’s skills and knowledge giving them strategies for learning involving problem-solving, hypothesising and logical thinking. We value the skills that the children come into school with and aim to develop them in the best ways possible.